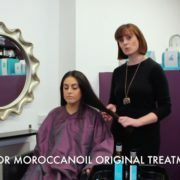 So everyone knows about Moroccanoil original Argan oil treatment for your hair and all the benefits !! From shiny , smooth , repaired ends . Increased elasticity , hair that grows longer and healthier the list goes on and on !! But did you know about their wonderful shampoo range ?